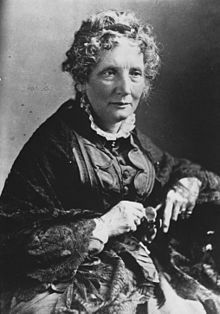 Harriet Beecher Stowe (June 14, 1811 – July 1, 1896) was an American abolitionist and author. Her novel Uncle Tom's Cabin (1852) was a depiction of life for African-Americans under slavery; it reached millions as a novel and play, and became influential in the United States and United Kingdom. It energized anti-slavery forces in the American North, while provoking widespread anger in the South. She wrote more than 20 books, including novels, three travel memoirs, and collections of articles and letters. She was influential both for her writings and her public stands on social issues of the day.